Devs. Listen to the community saying: "Buff the killers!" "...Or nerf the survivors more" The video is old. But with the trapper, hag buff, nothing has changed much. Due to many people complaining to different unimportant issues, I believe the devs have the immuny to any kind of complaint, especially the biggest as the balance in the game. That guy is garbage.. I don’t see why you would link that video when he’s terrible with the new killer. Who might I add hasn’t been in the ptb for what.. 2 days? Sheesh. Prove your point! Or stop naming people you don't know or argument this. As for 2 days. You really think it takes more than 50 hours to understand that the killer's speed is too low, and the rate of his power is also very low. And what about 4-5 hits for one survivor in one chase???? What the hell is this? Yeah Right. Right after a big stun after the ability with a very slow speed. Just hit'em. So simple. Another Hag killer. ARDETHA is one of the best players in the game. Have you ever noticed that the devs hasn't put out a strong killer since nurse and hillbilly?? There were some OK killers, but the latest ones are simply weak. RIGHT NOW, YOU ARE GARBAGE. ARDETHA proves his words, unlike you. No killer is stronger than Nurse and Hillbilly. These are Ok killers. They might win against good survivors. But they are not strong. They are good. If you learnt to play Nurse well, nothing's gonna stop you. He played bad with the new killer and instantly starts crying about it. People need to learn how to play legion first before saying buff him/her. They are unlike most killers and usual tactics might not work. Learn to adapt.. sheesh. So no matter how experienced the player can be, he cannot play a few days and make sure if it's weak or not, right? I don't think so. 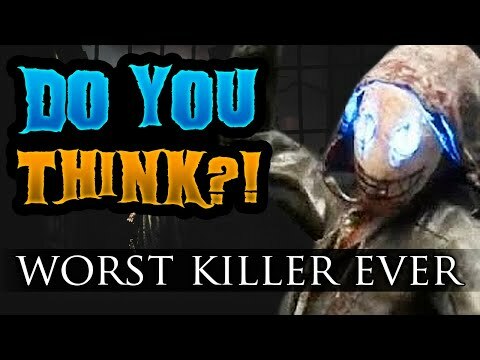 I think if you played killers so much and so well, you can say for sure, that this or that killer is weak at this current moment. huntress, myers, doctor, pig, spirit are amazing killers scrubstompers. Has he played the whole time ptb has been out? I doubt it. It’s a learning curve. It’s something new and instead of trying to adapt most people just complain. I for one am excited to give legion a try and figure out what works and what doesn’t. Simple enough, if you think legion is weak dont play him. I remember people saying something like that about the FREDDY. Like "you should learn to play him right" and stuff. And it's been a long time since then, he still isn't buffed yet. Nobody plays Freddy. at least against good rank survivors. In the video, Ardetha said that he has been trying to prove the same point you're trying to make, but eventually, realized that he is not strong enough. if you think legion is weak dont play him. 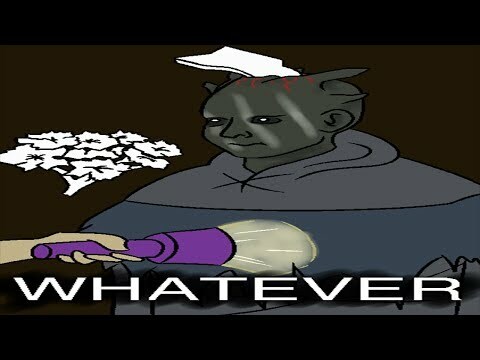 What if someday, they nerf billy and nurse and there will be no good killers at all? you'll say "If you can't play killers, Don't play them"? Why are you posting 3 different times. Just quote the whole thing a and make your point. You Base your opinion from this guy, where as Tru3talent last time I checked, who is also a very good player Is saying he’s not weak and just needs a few minor buffs. People have different opinions. Don’t try and force somebody else’s opinion on people. Also on console Freddy may be weak but is still stupidly easy you 4k with if you have half a brain and are not against a really good swf team. 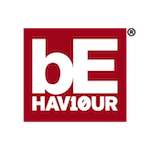 Give legion time, it’s the PTB so changes will probably happen. I wouldn't be so harsh on this Legion, if he were the 1st of 2nd weak killer! He is like the 5th or 6th killer that is not strong enough to put good pressure on survivors, like Nurse, Billy, Myers. WHY NOT PUT OUT A STRONG ONE ?